Newmarket Square has become almost synonymous with a few community businesses over the last few years: the Dublin Flea Market, the Dublin Food Co-op, and the Green Door Market. But with more redevelopment on the way, some have concerns that the future of the independent businesses is at stake – that redevelopment will mean rising rents and displacement. As areas like Newmarket Square evolve, some wonder if there are measures that Dublin City Council should take to ensure affordable rents for community-oriented businesses. Newmarket Partnership PM Ltd, which is headed up by Martin Creedon and Robin Simpson, has submitted three fresh planning applications for Newmarket Square. 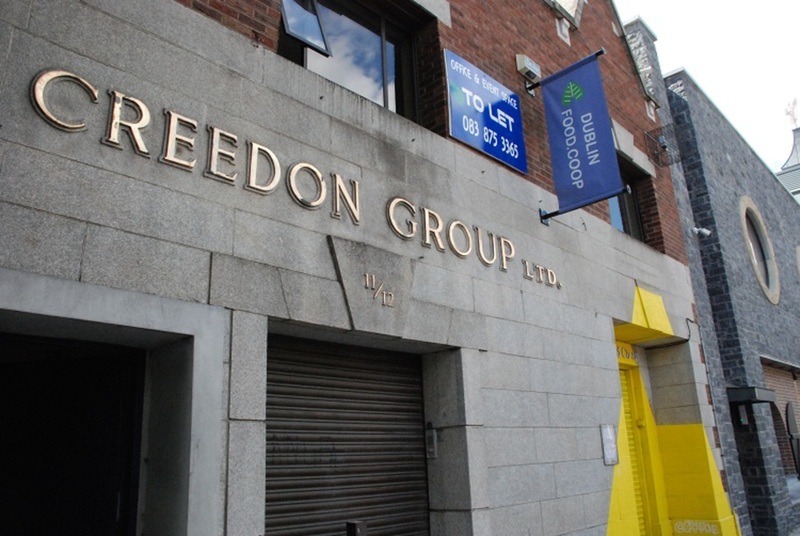 According to one of these planning applications, the building that currently houses the Dublin Food Co-op would be demolished and replaced by a building with a craft brewery and studio-style offices. Newmarket Partnership Ltd has also sought permission to demolish the building that houses the Green Door Market. In its place would be an office development, but one designed to accommodate a market space, according to the planning application. So Newmarket Square looks set to change. Already the council has tentative plans to spruce up the square which include a purpose-built market area, repaving, planting, and outdoor seating. The cost for the project is estimated between €3 million and €4 million. In the nearby Blackpitts area there’s a 202-bed hotel planned next to a 400-bed student accommodation. Number 10 Mill Street was recently restored as restoration continues on the nearby St Luke’s Church. It is unclear at the moment what all this will mean for the flea market, which spreads out over the square on the last Sunday of each month, or for the Green Door Market, and the Dublin Food Co-op. “There’s an awful lot of uncertainty,” said Aisling Rogerson, one of the founders of Dublin Flea Market. “We haven’t been reassured by anyone, neither Dublin City Council nor any of the developers, whether we’ll still be allowed to trade in Newmarket,” she said. Rogerson says that the flea market supports the redevelopment of the square, but wants it to be done in the right way. “With the community as a focal point and not just the introduction of new, profit-driven businesses,” she says. She wants to see the small, independent businesses considered during the planning process, she said. The developers “have seen that this is a vibrant area. So much of that comes down to the markets but also the Green Door and the Co-op and all the little ancillary things that happen around here,” she says. Last week, Seosamh McPolin launched a Facebook page for a “Save Newmarket Square Rally”, scheduled for this coming Thursday. As of today, 406 people have said they are going. McPolin says he organised the rally to ensure people are aware of the proposed redevelopment and know how to organise planning observations and objections. McPolin feels that the developers who’ve lodged the recent planning permissions see themselves as entitled “to profit off the square” because they’ve owned the properties through harder economic times. “Whereas in fact it’s the co-op and it’s the flea market that have made Newmarket Square,” he says. The board of the Dublin Food Co-op wasn’t consulted about the rally, though. “We were disappointed to find the organisers claimed we had endorsed them,” says Sam Toland, a board member of the Dublin Food Co-op. Labour Councillor Rebecca Moynihan says she thinks the smaller businesses should work within the planning process to make their points. “Newmarket Square has traditionally, and historically, been a market area,” she says. That should be the driving argument behind keeping the smaller, independent businesses in situ. 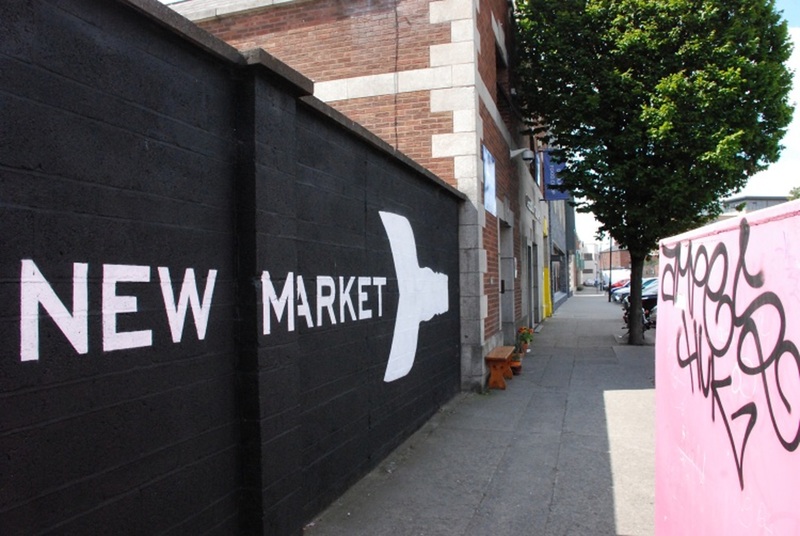 Over-development of spaces like artist studios, which are treated as transient, is rife in Dublin 8 and to let Newmarket Square go down that route would be a shame, she says. “But I think that we need to work with the people who own the land in order to ensure that doesn’t happen” says Moynihan. As she sees it, a rally may not help the small businesses in the long run. Rogerson of the Dublin Flea Market agrees that they should work within the planning process. “We’d like to make an observation that the current, small, independent businesses be considered in any decision that’s made within the planning permission,” she says. The concerns about affordable commercial spaces mirror, in a way, concerns around a lack of affordable housing. 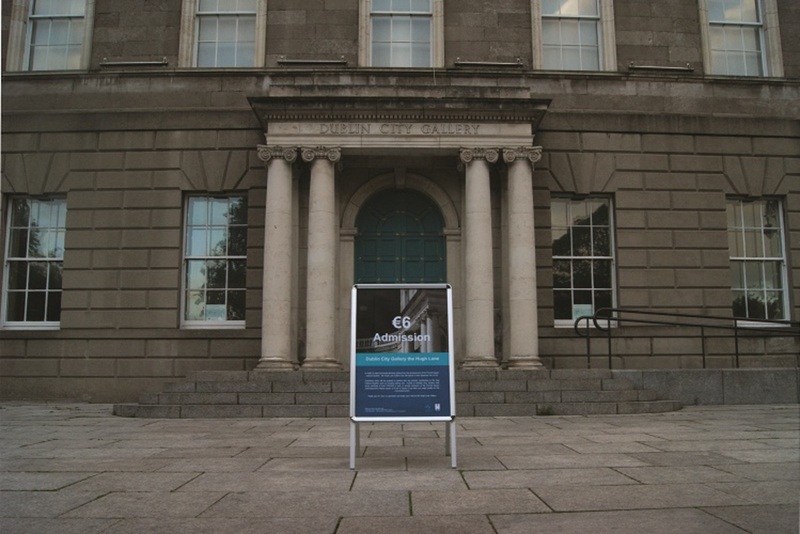 Some argue that Dublin City Council should look at schemes to ensure there are affordable commercial rents in some areas such as Newmarket Square. 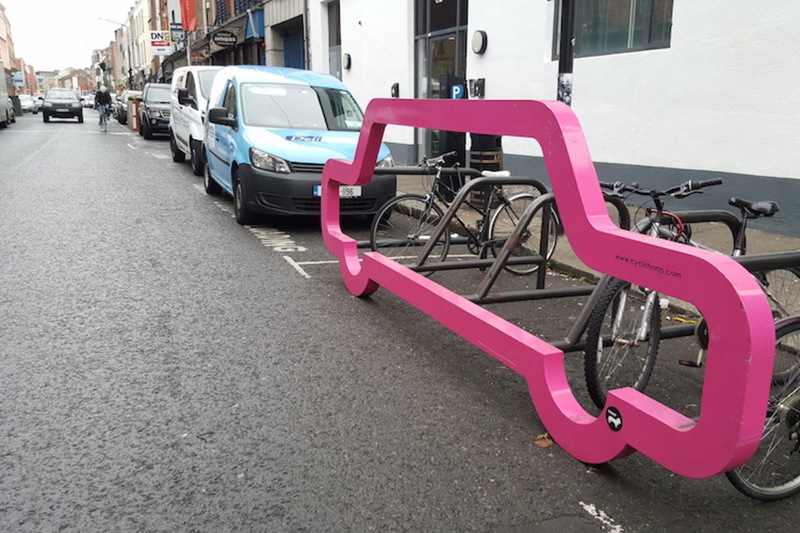 It would add to the city’s vibrancy, says independent Councillor Vincent Jackson. “When you go to Grafton Street now, unfortunately, and South Anne Street, you could be on any London street. Everything’s the same,” he says. Jackson says he is concerned that Newmarket Square may become more like the city centre: a homogenised business environment. 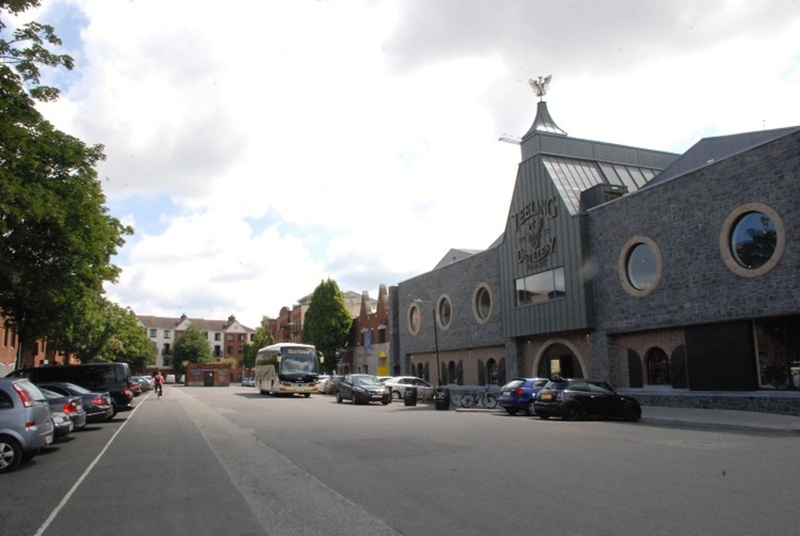 Teeling Whiskey Distillery and smaller businesses have helped revive Newmarket Square, says Jackson. But now the developers are tapping into the potential there. “Developers are there to make money. Whether we like it or not this is a capitalist society we live in,” he says. Sinn Féin Councillor Críona Ní Dhalaígh says the council needs to do more to ensure that independent businesses remain open in Newmarket Square and that residents around there are up-to-date with what’s going on. She wants to see a “planning monitoring committee” made up of councillors, council officials, and local representatives for the area, given the redevelopment plans for the square. 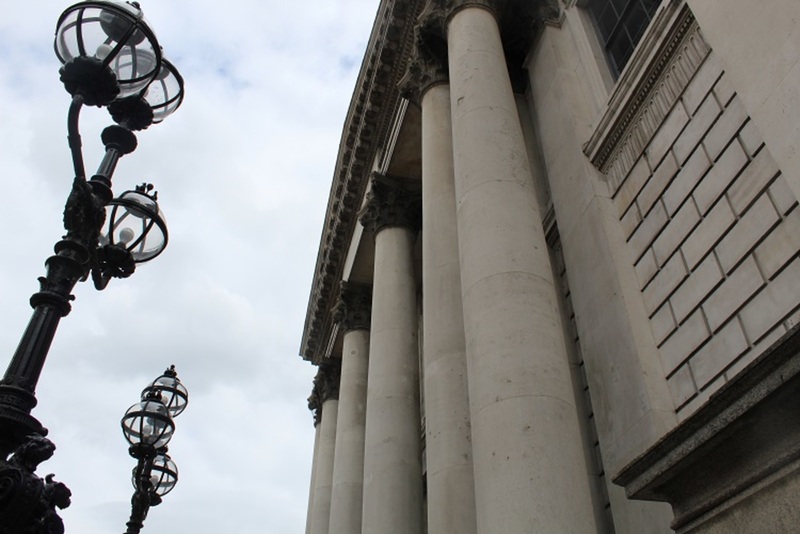 That way, the independent business owners and local residents could be helped to lodge planning observations or objections – a process that she says many Dubliners aren’t familiar with. “People often don’t know the technical side of these things,” she says. There wasn’t any consultation with residents or the independent businesses before Newmarket Partnership applied for planning permission for its projects, she says. Labour Councillor Moynihan says that it is not inevitable that Newmarket Square’s small businesses will get pushed out as big development takes hold. But it wouldn’t be easy for the council to bring in affordable rents for places such as the Dublin Food Co-op and the Dublin Flea Market, not least because the buildings are privately owned. Another challenge, though, is deciding what kinds of businesses would be eligible for these affordable, community rents. 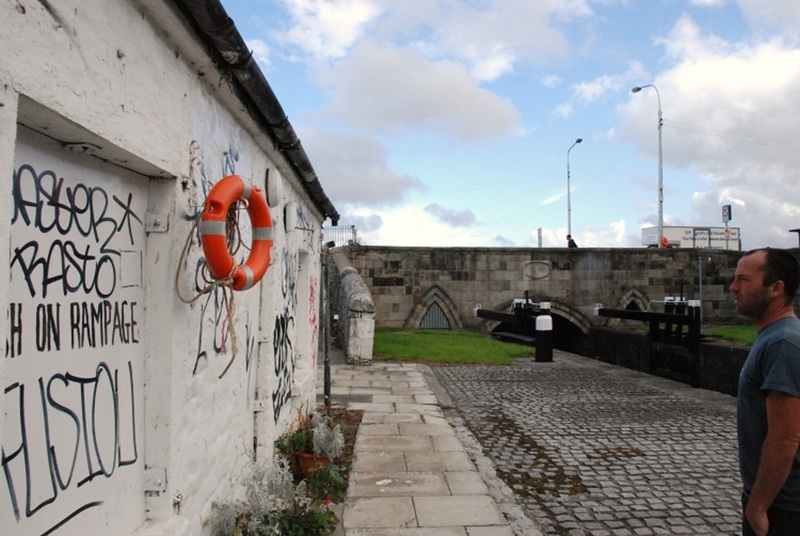 Currently Moynihan and officials in the City Arts Office are examining a scheme to create more permanent artistic and cultural spaces in the city. The idea would be that where there is a big redevelopment like Newmarket Square, any plan would have to include a provision for artistic or cultural use. If the plans that have been submitted become a reality in Newmarket Square, then it will bring considerable change: offices, a craft brewery, apartments, and a hotel. But those who are already there say it’s important that the neighbourhood is not seen as a blank slate. “We’ve an existing, thriving community that has brought life to Newmarket,” says Rogerson of the Dublin Flea Market. “They think they’re going to make a new area, but I don’t know. Do they realise that there already is life in this area and that they need to acknowledge it?” she said.